This handout provides general guidance for adding solid foods to the diet of your growing baby. Be sure to consult with your child’s health-care provider for additional information. Can your baby hold his/her head in an upright position? Can your baby sit? Your baby may need some support at first. Does your baby reach for and show interest in your food? When your baby is ready and your health-care provider has given you the OK to introduce solid foods, pick a time of day when your baby is alert and happy and not overly hungry. As your baby consumes more solid foods, you may notice that your baby’s formula or milk intake decreases. The process of babies learning to eat solid foods, keeping food in their mouth and swallowing may take some time. During this learning process, you still should be providing feedings of breast milk/formula to ensure adequate nutrition. Start by nursing or bottle-feeding. Your baby will not be full just from the food. Do not add cereal to your baby’s bottle unless your doctor instructs you to do so because this doesn’t help the baby learn how to eat solid foods. Use a soft-tipped plastic spoon when you feed your baby to avoid injuring his/her gums. Begin with just a small amount of food on the tip of the spoon. Place the spoon near your baby’s lips and let the baby smell and taste. Don’t be surprised if your baby rejects this first spoonful. If your baby doesn’t seem very interested in eating off the spoon, wait until he/she is comfortable with the spoon. Wait a minute and try again. Most food offered to your baby at this age will end up on the baby’s chin, bib or high-chair tray. Begin with a once-a-day feeding in addition to breastmilk or formula. If your baby is eating cereal, gradually make it thicker during the course of a few days. As the amount of solid food your baby eats increases, add another feeding to the day. The order of introducing foods may not matter to your baby. Many feeding experts recommend beginning with single-ingredient fortified baby cereal (rice, oatmeal or barley). Wait at least three days before introducing a new food to your child’s diet. Next, introduce single-ingredient pureed vegetables or fruits without added salt or sugar. As your baby matures, you will be able to add a small amount of finely chopped or mashed soft foods. Visit with your pediatrician or other health-care provider for more information. Is your baby leaning back in the chair, away from the food? Does your baby turns his/her head away from the spoon? Does your baby refuse the next bite (not because the previous one hasn’t been swallowed)? If you use commercially prepared baby food in jars, transfer some food to a separate bowl and feed from the bowl. This prevents contamination of the food in the jar. Immediately cover the remaining baby food and store it in the refrigerator for up to two days. You also can freeze leftover baby food. Thaw it in the refrigerator. 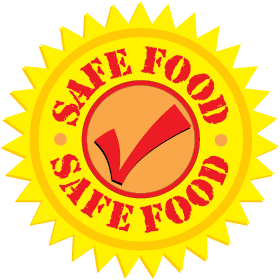 For more information on nutrition and food safety, visit the NDSU Extension Service Web site.